Where Can I See Nerite Snail Videos? What To Look For When Purchasing Nerites? Are Nerites Algae Eating Machines? How Long Does A Nerite Snail Live? What Is A Good Habitat For Nerites? What Is A Good Tank Size For Nerites? Adding A Nerite Snail To A Newly Setup Tank? 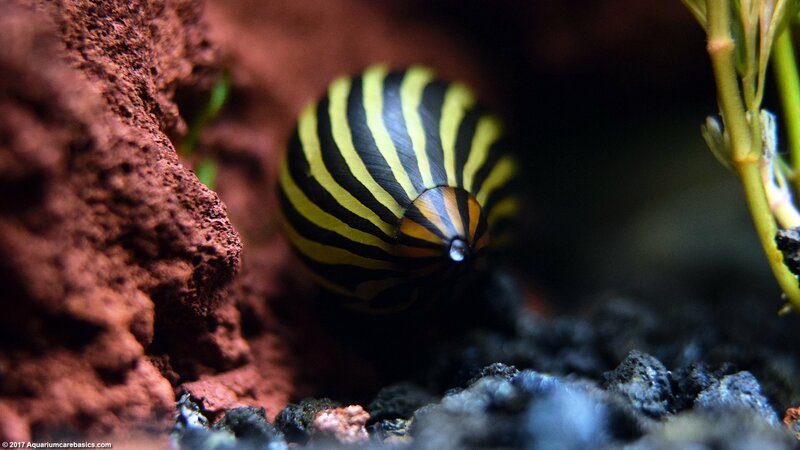 Nerite Snails are one of the most popular freshwater aquarium snails these days and are almost always available at local pet stores and chain stores. Nerites are often sold as freshwater aquarium snails, although there are some saltwater varieties as well. 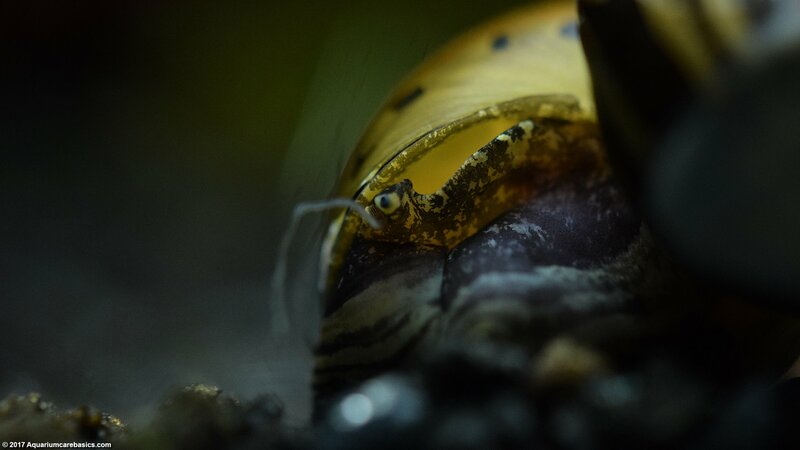 Nerite Snails have a reputation for being outstanding tank cleaners and one of the most proficient algae eating snails around. 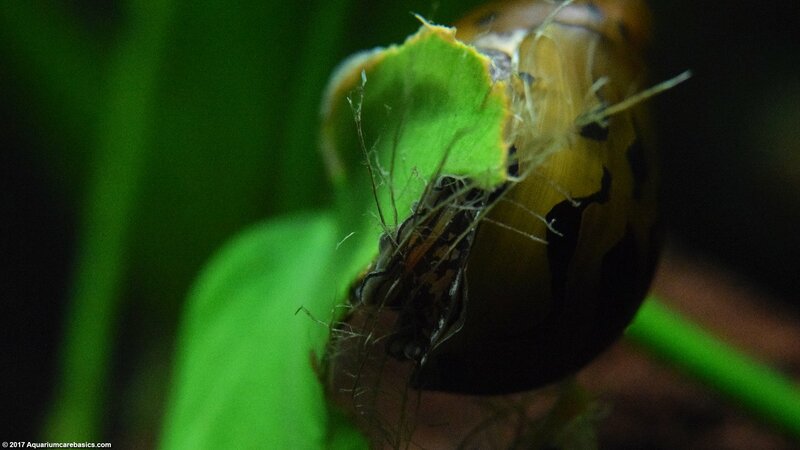 That’s why Nerite Snails are frequently referred as members of an aquarium cleaning crew along with Amano Shrimp. 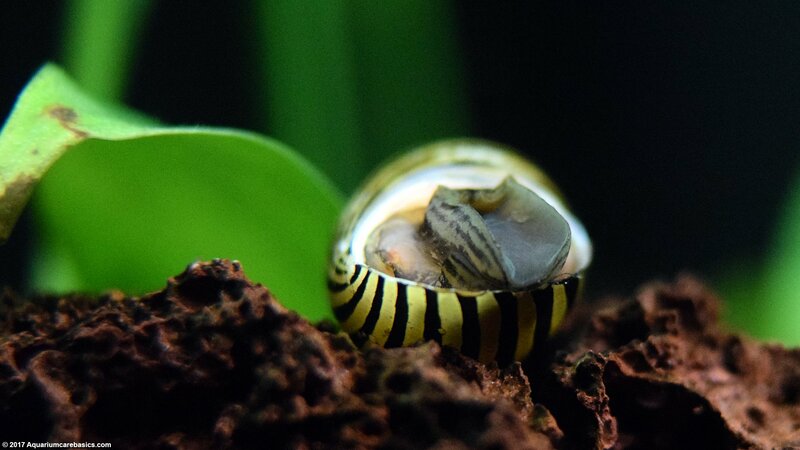 Nerite Snails can be described as being docile, peaceful and tranquil in temperament, and are able to move throughout the tank with ease. 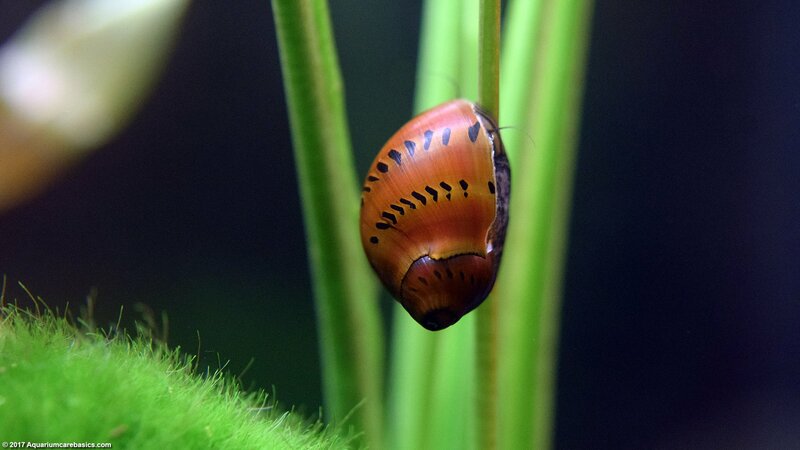 Before purchasing Nerite Snails look for specimens that have healthy looking shells. Make sure they are free from cracks, gashes, and nicks. Also look for Nerite Snails that are active. 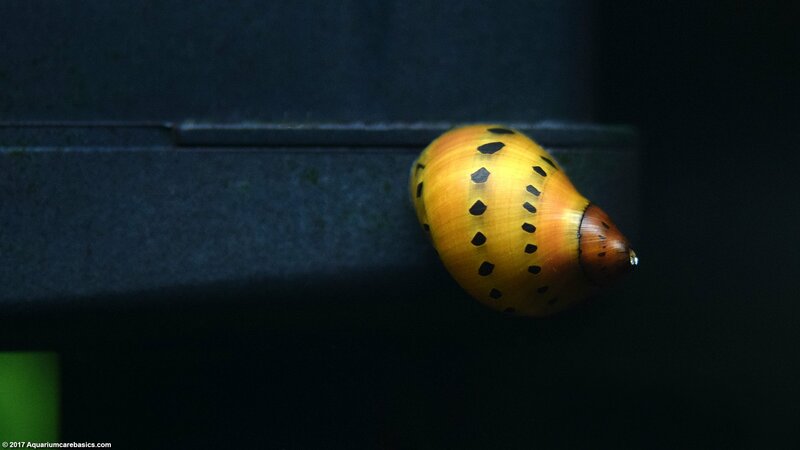 An active snail will be affixed to the glass or any other hard surface of the tank. 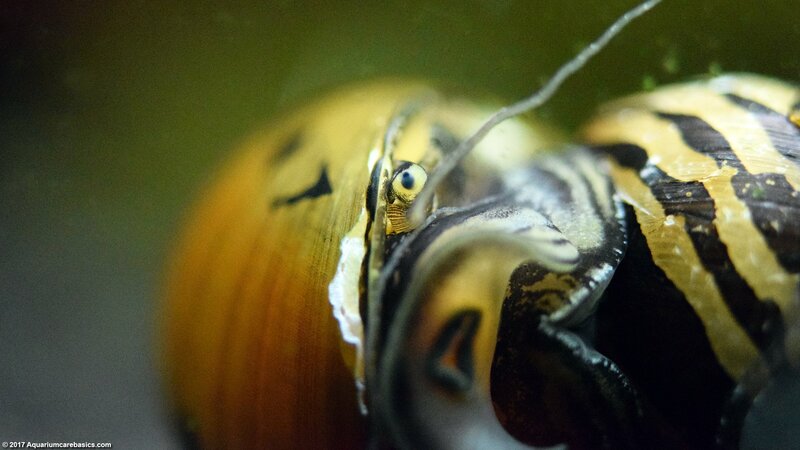 Avoid Nerite Snails that are on the bottom of the tank lying upside down and motionless. Snails that are lying on their backs may be dead or dying. Also look to make sure the snail shell isn’t empty. You want to make sure you are not buying an empty shell. 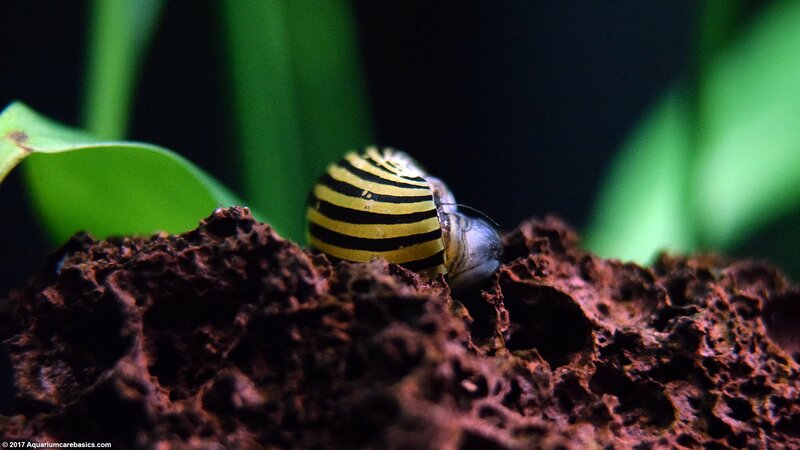 There are many popular types of Nerite Snails available in pet stores today including: Zebra Nerite Snail, Tiger Nerite Snail, Olive Nerite Snail, Black Racer Nerite Snail And Horned Nerite Snail. 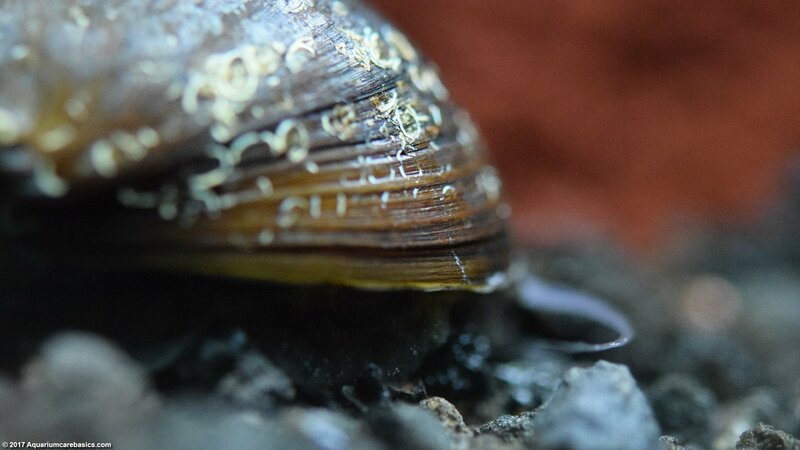 A Black Racer Nerite Snail has slight grooves on its shell, running parallel to the aperture all the way back. Black Racer shells are generally in the brown color range, and can have areas of dark gold, dark grey or even black. 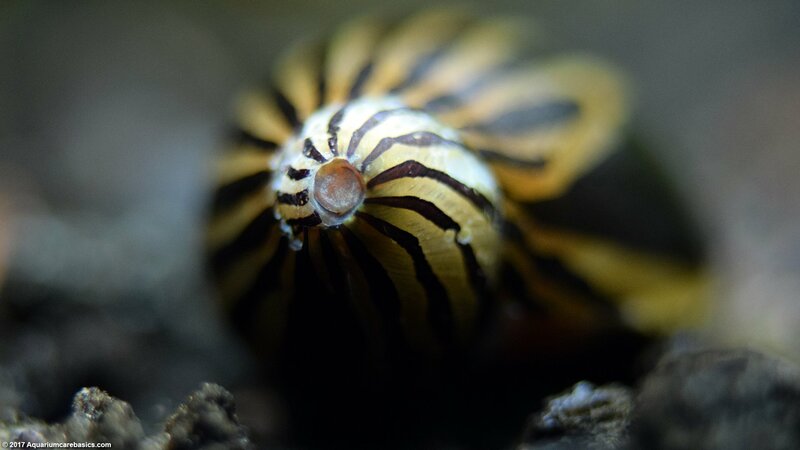 A Tiger Nerite Snail has a light brown shell looking more smooth than ridged in texture. Tiger Nerite shells are accented with black areas forming patterns resembling tiger stripes or leopard spots. 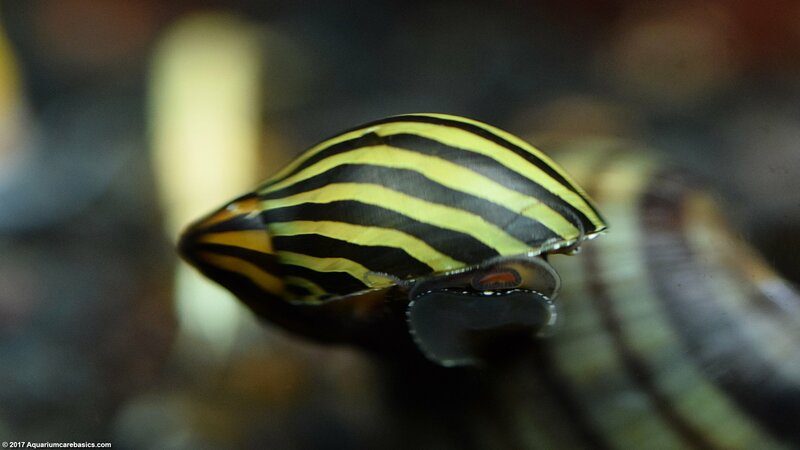 A Zebra Nerite Snail shell is golden-brown in color. The shell looks more smooth in texture compared to other grooved-shell Nerite Snails. 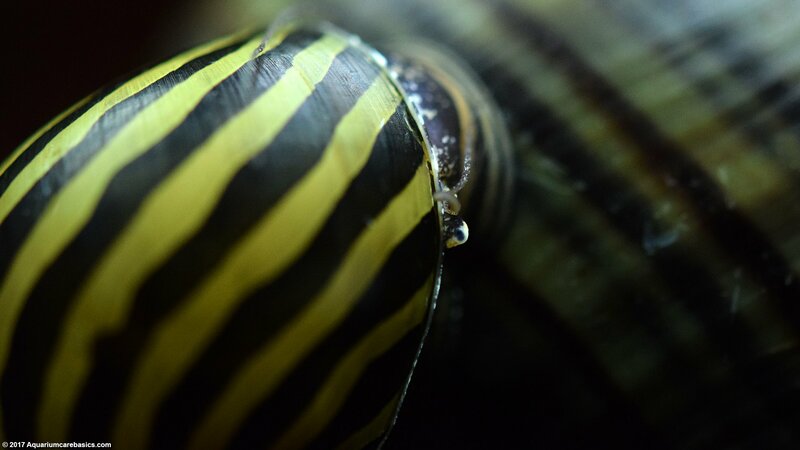 A Zebra Nerite Snail shell has black stripes running back from the aperture to the apex creating a zebra-like look. 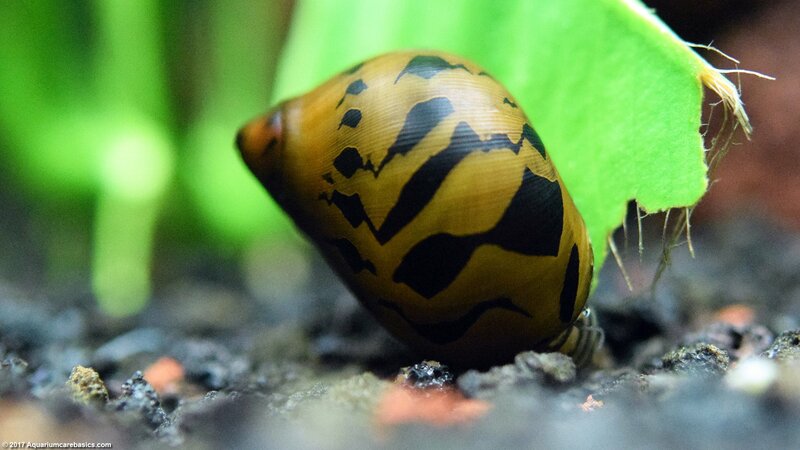 In addition to the types of Nerite Snails listed above, there are sometimes snails in pet stores offered as: Brown Zebra Snails, Tracked Nerite Snails, Ruby Nerite Snails, Zebra Snails, Plain Zebra Snails, Marble Nerite Snails, and others. 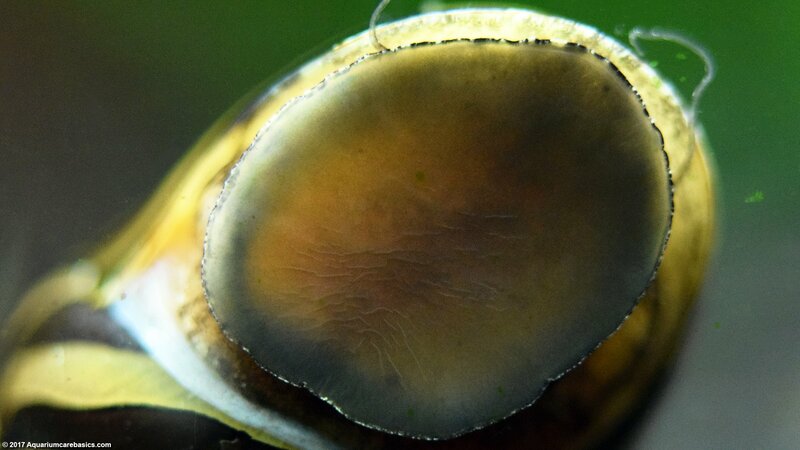 There may be many different types of freshwater Nerite Snails available for sale. Or maybe it’s just a looseness regarding naming and labeling different varieties in the tanks, or both. 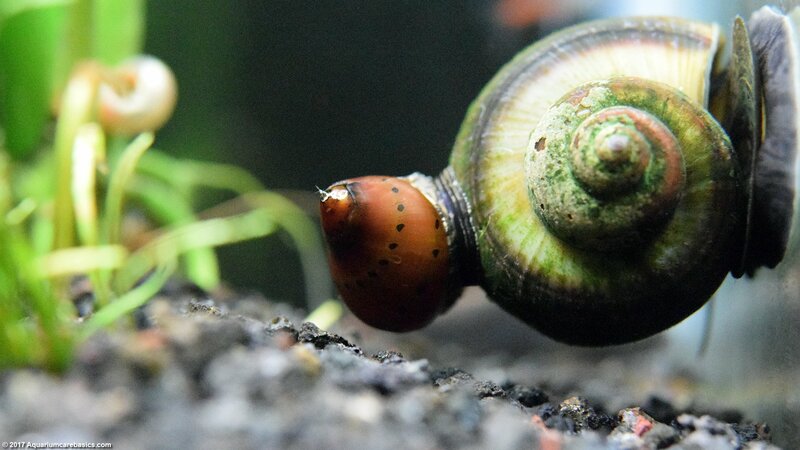 Either way, Nerite Snails can be a great addition to any community aquarium. They are great cleaners and they are fun to watch. That said, be sure to ask the store clerk for clarification if you have any questions. 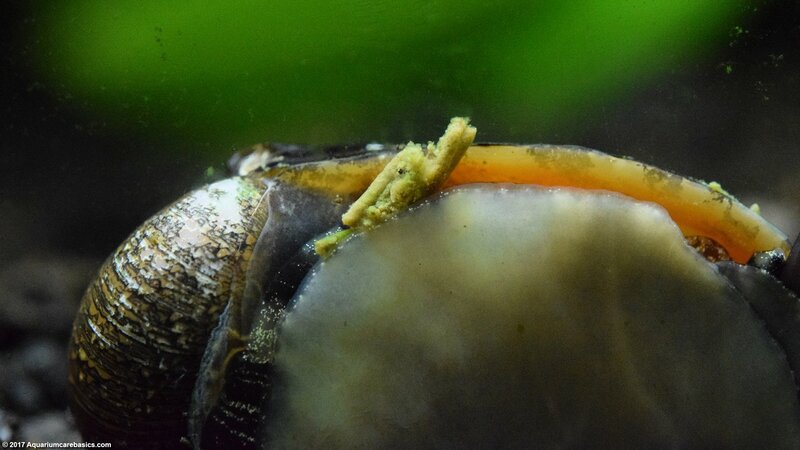 The good news is that Nerite Snail care is pretty easy and straightforward. Nerite Snails are a hardy species and they are adaptable to a range of water conditions. 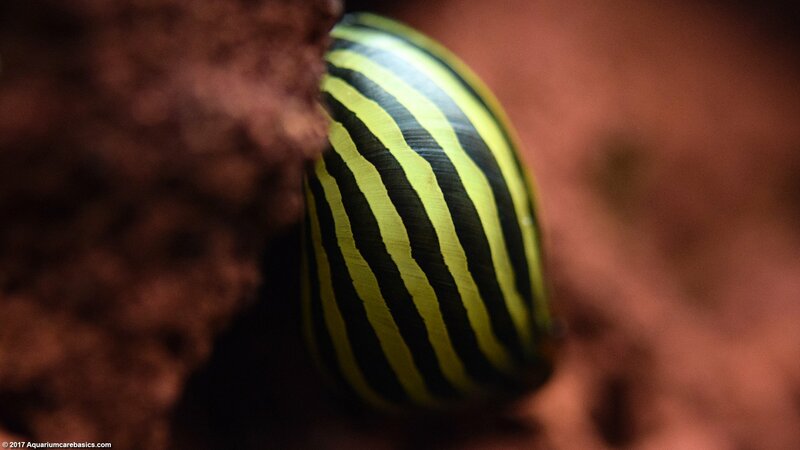 Nerite Snails seem to like water temperature in the tropical community tank range of 72 – 78 degrees Fahrenheit. And some hobbyists suggest that Nerites can survive in a wider temperature range. Nerites also prefer water pH on the alkaline side around 7.5 and aquarium water on the hard side with a moderately moving current. 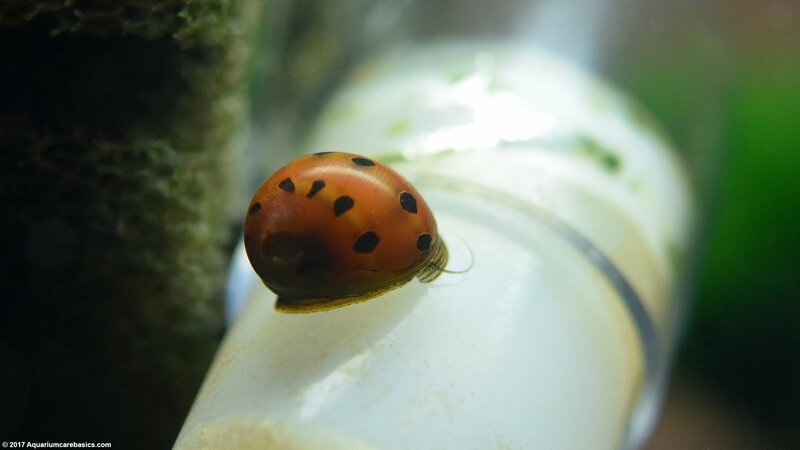 As with other fish in a tank, Nerite Snail care must also include checking for Ammonia spikes and high levels of Nitrate, as Nerites are susceptible. 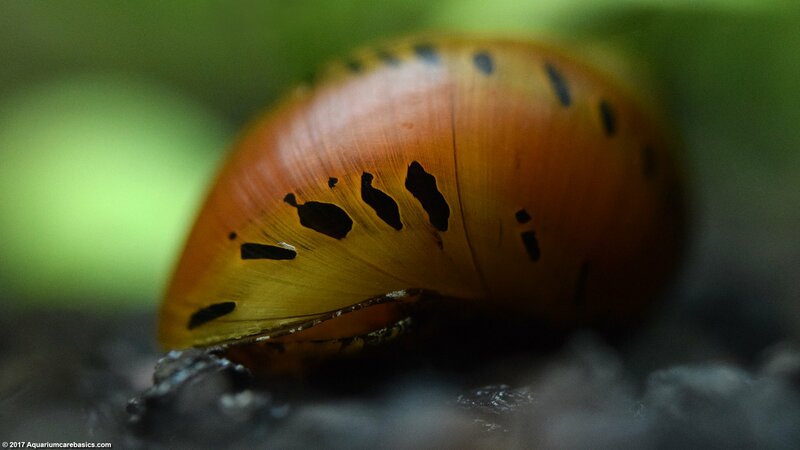 Care must also be taken to avoid any sort of exposure to copper and other medications because this can be fatal to snails. Finally, be mindful that Nerite Snails may need Calcium supplements to maintain a healthy shell. 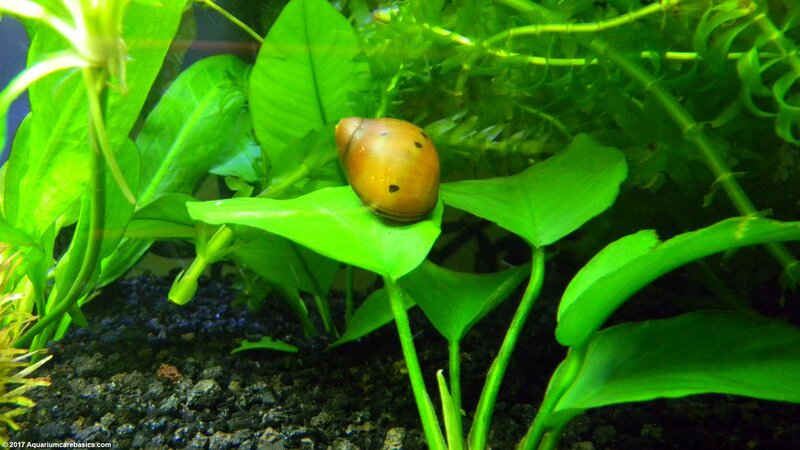 Its also important to remember that Nerite Snail care also includes how they are put into the tank. 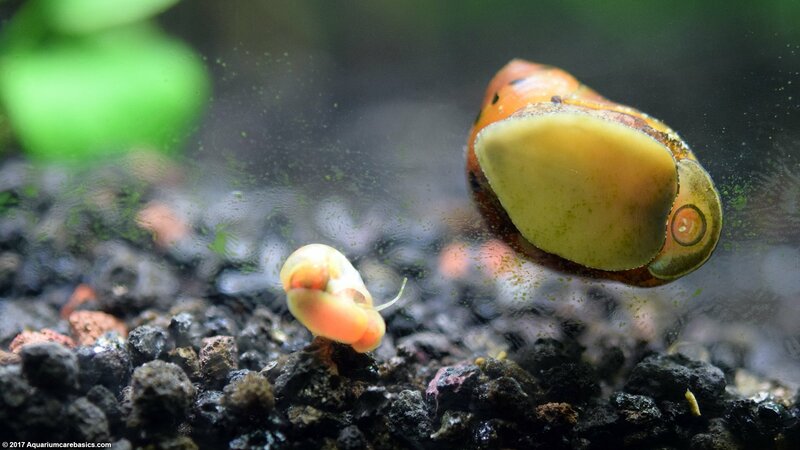 Avoid dropping Nerite Snails into the water and letting them float to the bottom to land in various random positions. 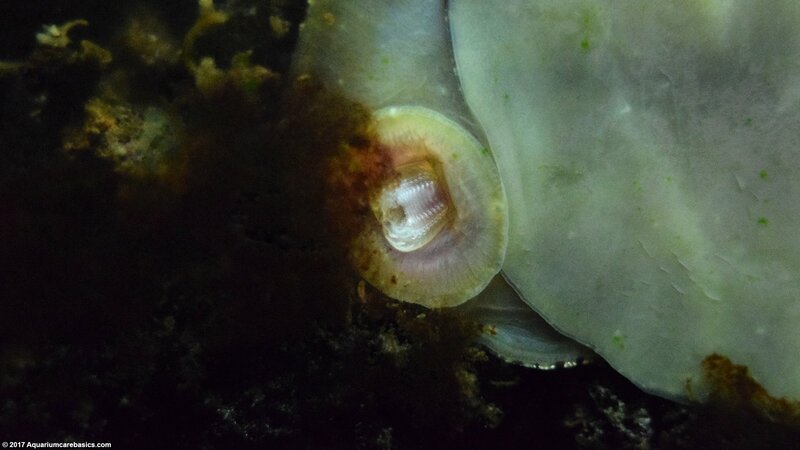 Lucky Nerites will land upright and be able to quickly get acclimated to their new surroundings. The unlucky snails will land upside down. 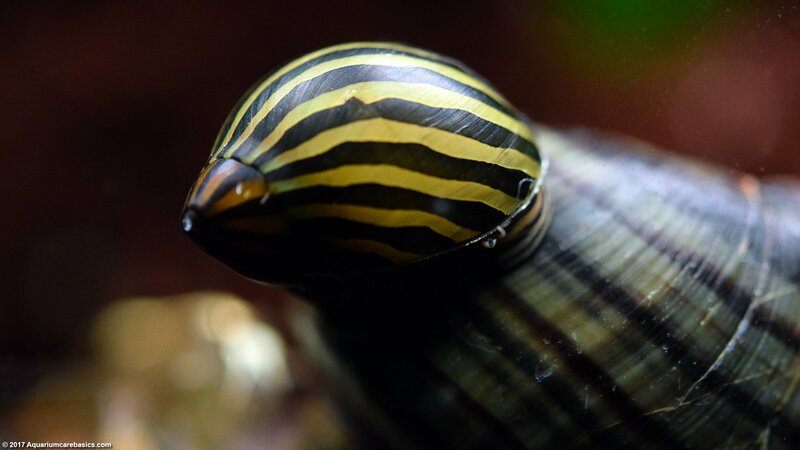 Nerite Snails have a very difficult time turning themselves over to the upright position. In most cases it’s almost impossible for them right themselves. Nerites left upside down can die that way. 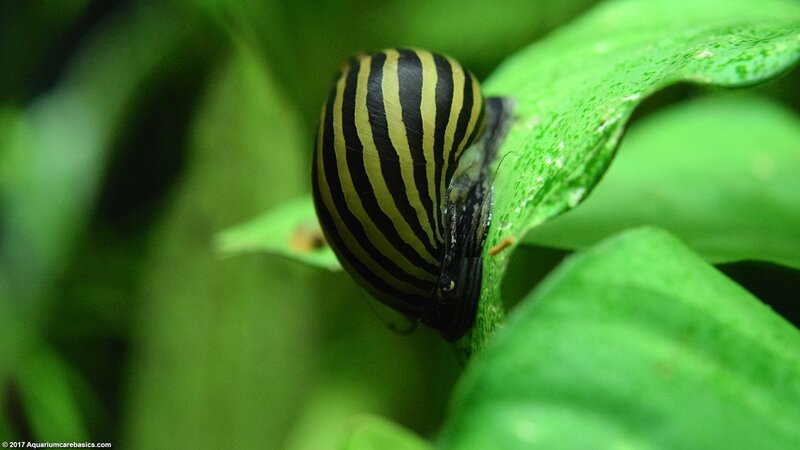 Make sure Nerites are placed in the tank in the upright position so they get off to a good start. Nerite Snails seem to enjoy being in an established planted aquarium. In an established planted tank, the water parameters have been given a chance to settle into a stable range and the tank has properly cycled. Also, the live aquarium plants continuously shed or discard plant matter into the water column, preventing the tank from ever being “too clean”. Nerites seem to be happy and content in tanks that are never “too clean”. Nerite Snails can thrive in nearly any aquarium size provided the rules against overstocking are followed. Nerites can be a perfect addition to a 20 gallon planted aquarium, or larger. Nerites can also be a good fit for a 10 gallon aquarium so long as the limitations of 10 gallon aquariums are kept in mind: low water volume, low surface area, and a slim margin of error for water temperature shifts, and the like. It’s easy to think that it’s always fine to “add a few snails” to a tank because they are small. A common mistake occurs when an aquarium hobbyist has an otherwise properly stocked, cycled, and established 10 gallon aquarium, for instance. Then a green patch on the glass is noticed. 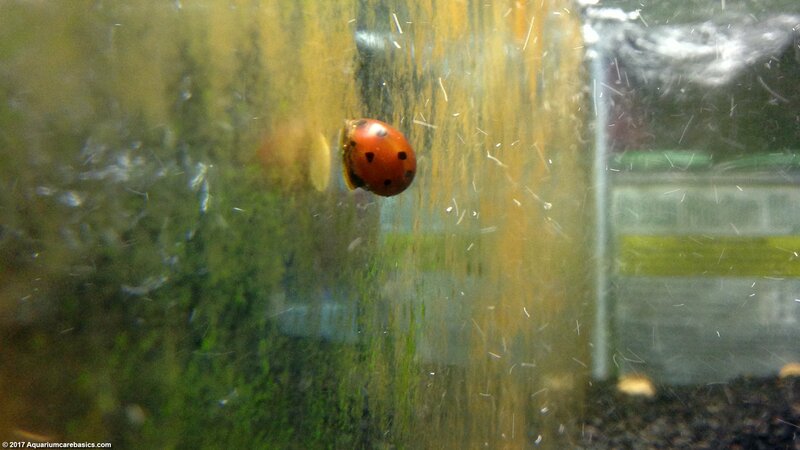 Seeing the green patch, the hobbyist decides to add a half dozen Nerite Snails to the tank. Nerites produce waste like other living organisms. Be sure not to cause an overstocking problem by adding snails. Just because Nerites are small they will increase the bio-load and they will tax the aquatic environment like other inhabitants in the tank. The Nerite Snail lifespan is about one year, give or take. Sometimes Nerites die a week or so after being added to a tank, with others from the same batch living around 2 years or more. 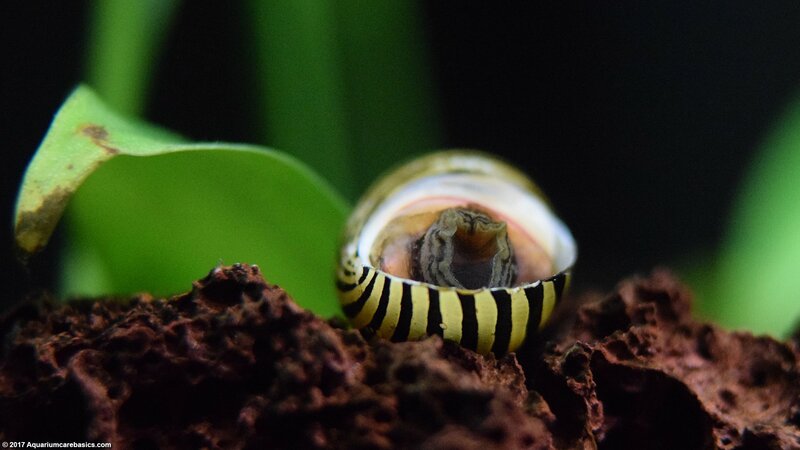 If a Nerite dies soon after being added to a tank it can be due to the stress of being transported, a significant shift in water parameters, or unhealthy water in the tank. 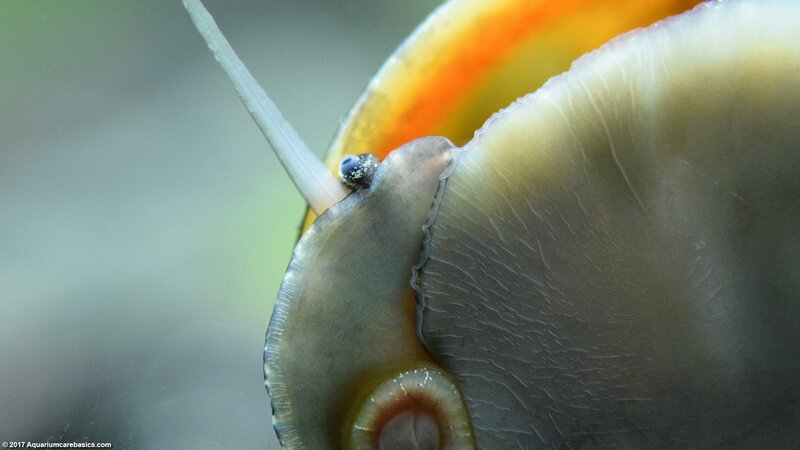 Before adding snails to the tank, it may be a good idea to test both the tank water as well as a sample of the water that the snail is being transported in for pH, Ammonia, Nitrates and Hardness. It’s better to know in advance whether there is a significant variance in parameters. 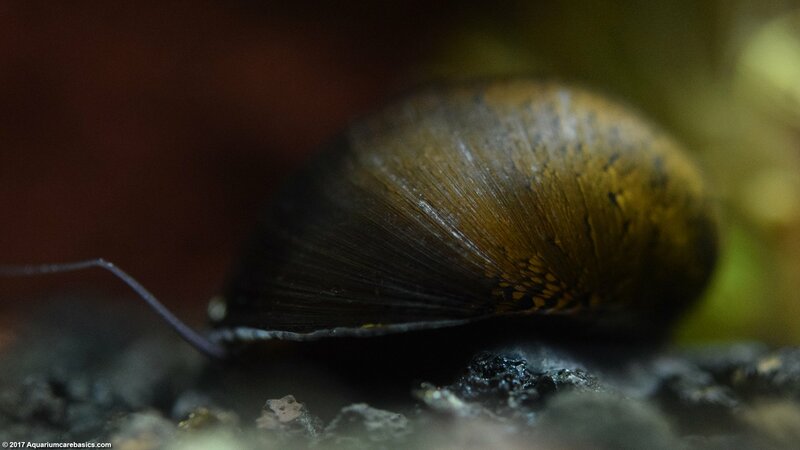 If a Nerite Snail dies, be sure to remove it from the tank right away because a decomposing snail can cause an Ammonia spike in the aquarium water. A dead snail will not be affixed to the glass or any hard surface. 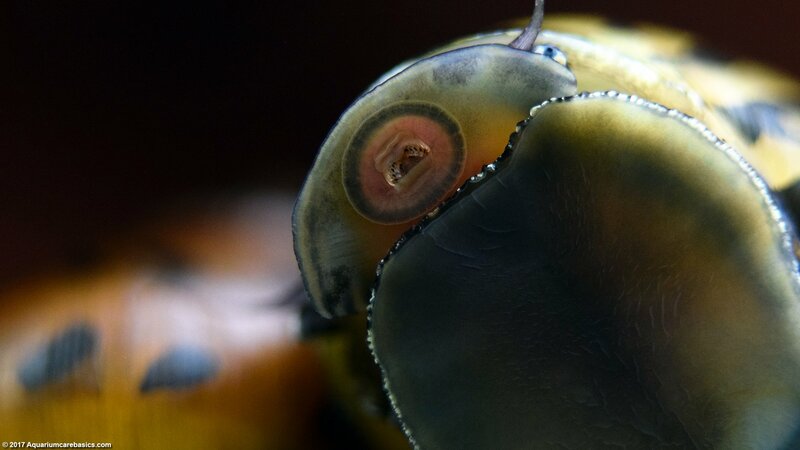 Instead, a dead snail will usually be lying on the bottom of the tank, sometimes upside down and motionless. Upon removal from the tank, a dead snail may have a strong smell of rotting and decomposing flesh. Nerite Snails size depends on the age and type of the snail. Snails grow as they age so the older the snail is they larger it will be. Also, different types of Nerites are grow to be different sizes. 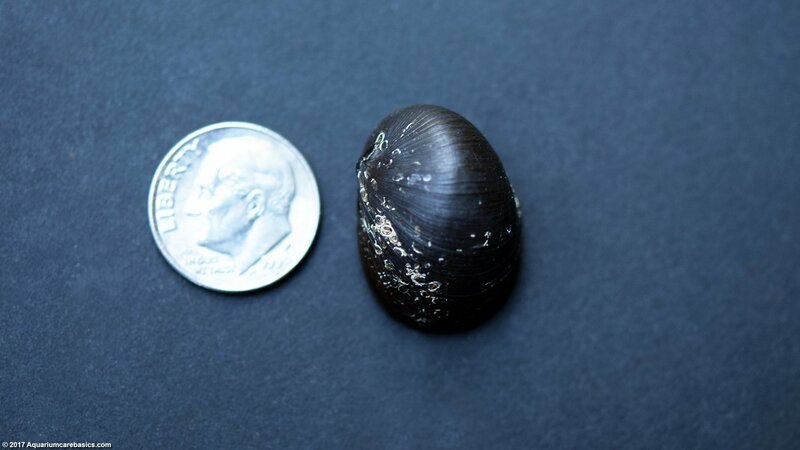 But in general terms, Nerite Snails of all varieties will be somewhere between the size of a dime and the size of a quarter. 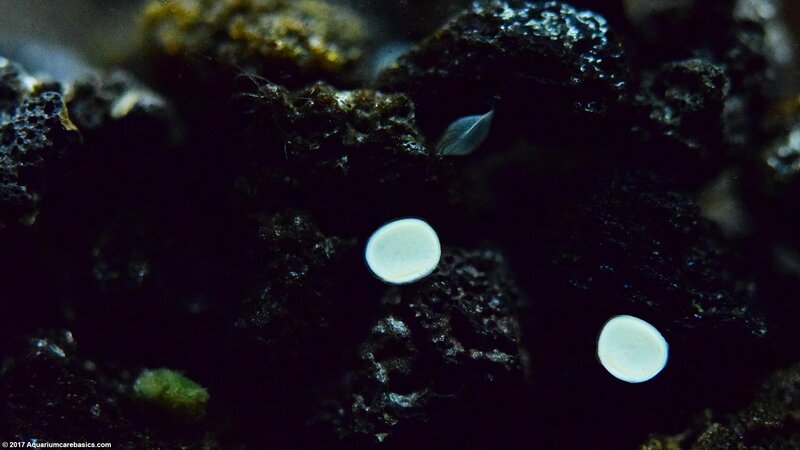 Within this range, an Olive Nerite Snail will be on the smaller side growing to be around 1/2 inch. 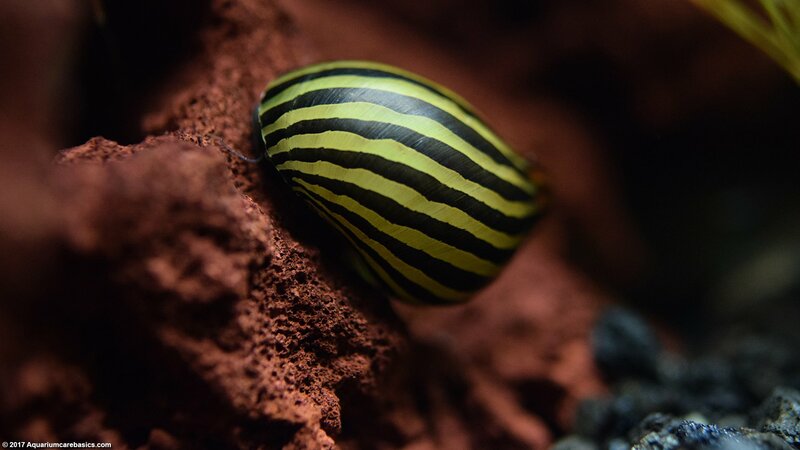 A Tiger Nerite Snail and a Zebra Nerite Snail can grow to be larger than an Olive Nerite, with the Tiger Nerite and Zebra Nerite being close to twice as large as the Olive Nerite. 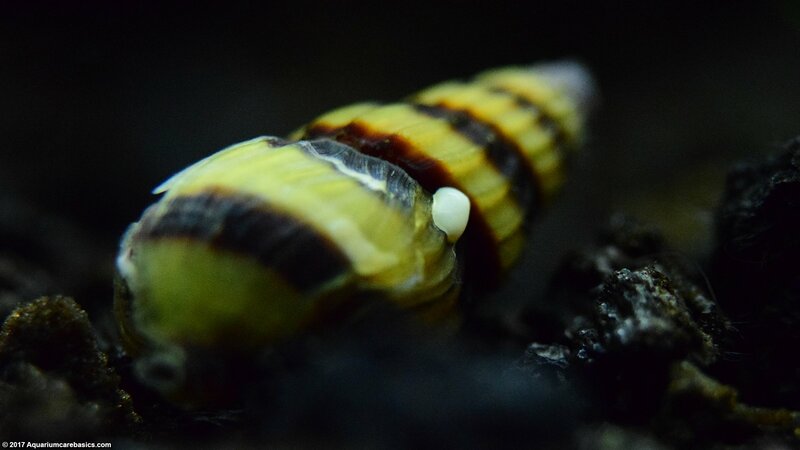 The Horned Nerite Snail is usually the smallest of the Nerites, usually measuring in at 1/4 inch on the small side and just under 1/2 inch on the large side. 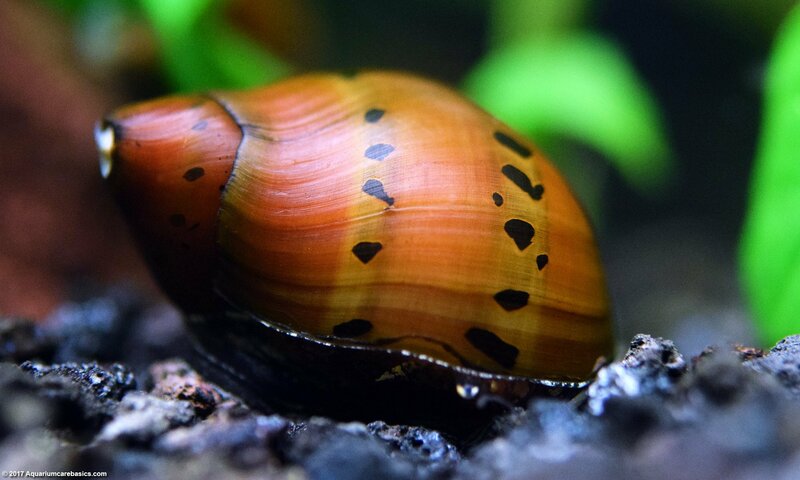 Since there are several types of Nerite Snails its not possible to describe these snails as being any one color, but the range of Nerites have colors including: nearly black, dark brown, dark green, olive green, tan, golden and reddish brown. 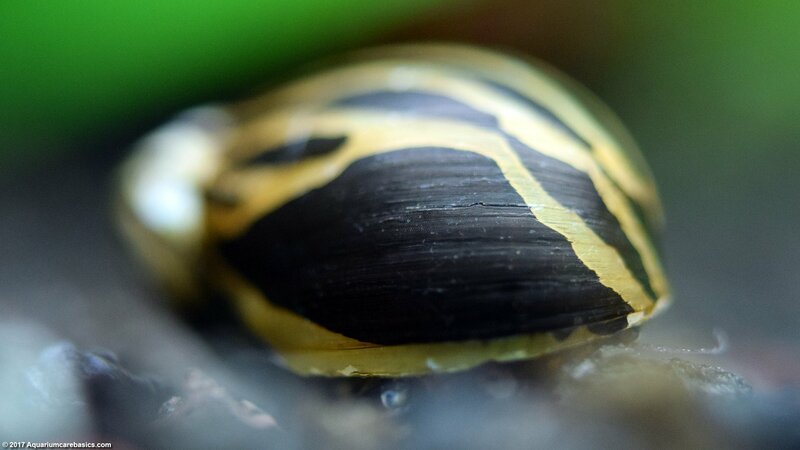 Different types of Nerite Snails may also have stripes, little dark round dots, little dark parallelogram shaped track marks, and dark green or black ridges. 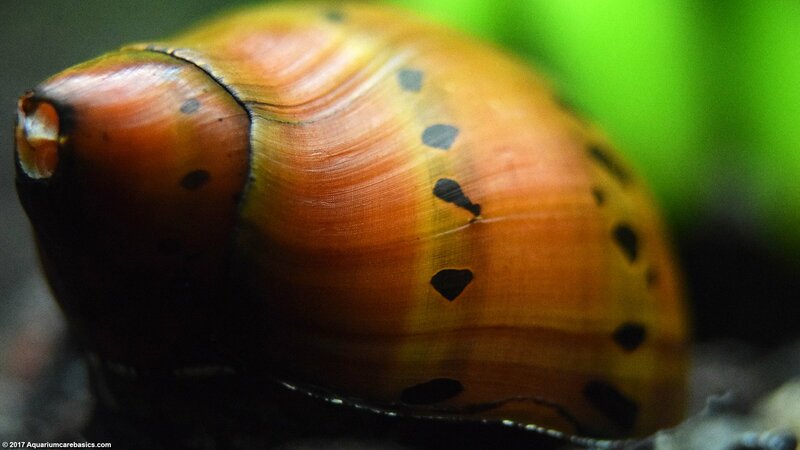 It’s interesting to see just how many possible combinations of colors and marking patterns Nerite Snails can have. Nerite snails are very busy and active eaters. They affix themselves to hard surfaces such as glass, decorations, filter intakes and hard plant leaves. 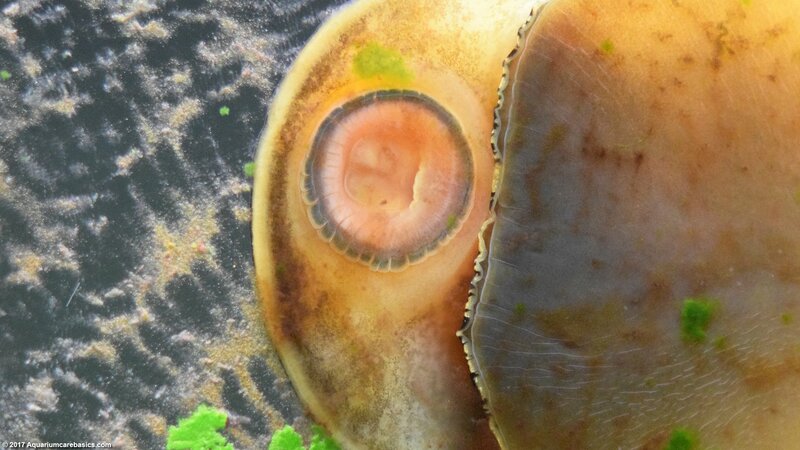 Nerites move easily across these surfaces…eating as they move. 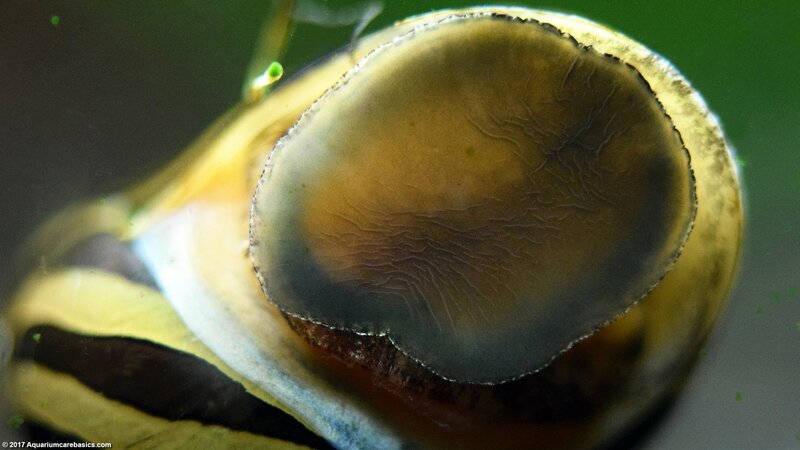 Nerite Snails are one of the best algae eating snails around, and their “from-tank” diet can include: soft film algae, soft green algae, soft brown algae, and brown diatoms. 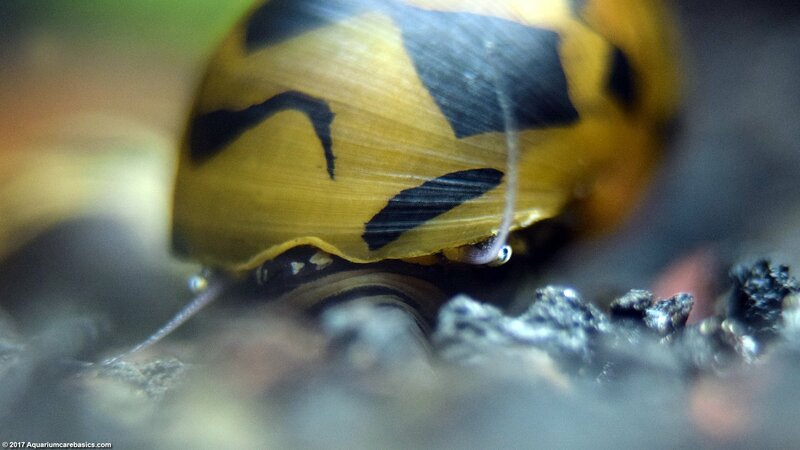 My Black Racer Nerite Snails are particularly fond of the soft brown algae growing on the glass just under the substrate. They dig down about an inch or so and eat off the glass for hours. I’ve never had any luck with Nerite Snails eating Green Spot Algae. 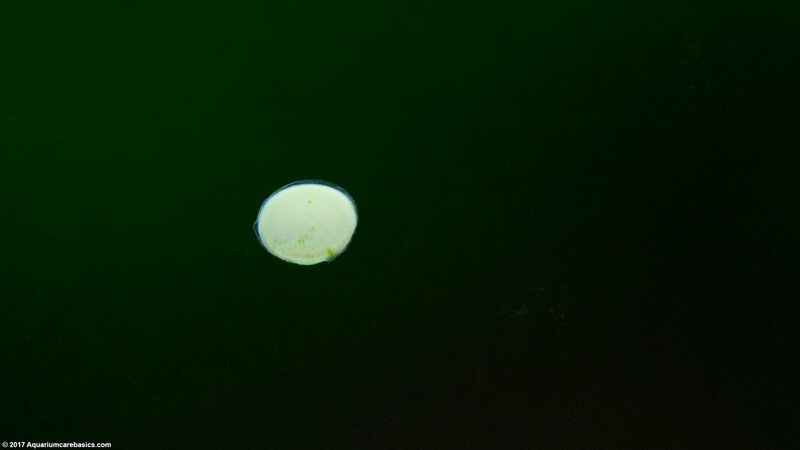 The Green Spot Algae may be too hard for them. 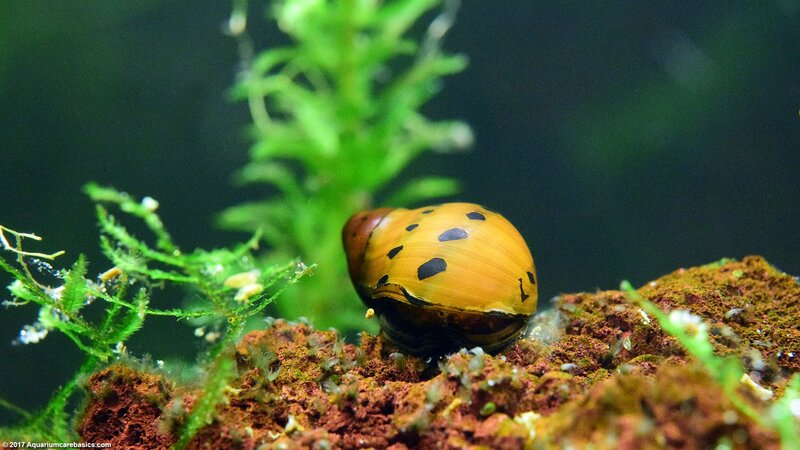 Its a misconception to think that Nerite Snails will “eat away” algae problems in an aquarium. Algae problems are related to lighting issues and water conditions. If a tank has algae problems, adding some Nerites is not the best solution. Instead, determining the root cause of the algae problem is necessary. Once identified, properly addressing the issues is the best way to control algae. Nerites do not seem to be interested in eating live plants. Nerite Snails feed either clustered in groups or on their own. And they seem to find food no matter where it may be. 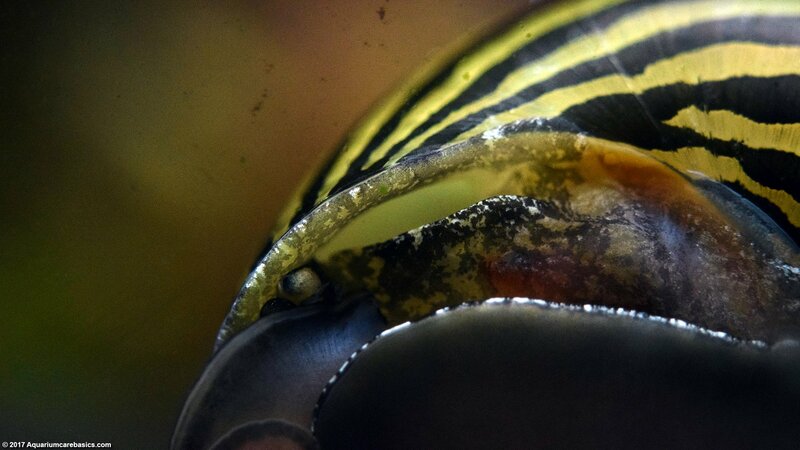 Nerite Snails can find food on glass, sponge filters and in power filters themselves. Because Nerites can get up into power filter boxes they can find themselves in pretty dangerous predicaments, so its best to keep the tank well covered to prevent them from escaping and getting hurt or killed. 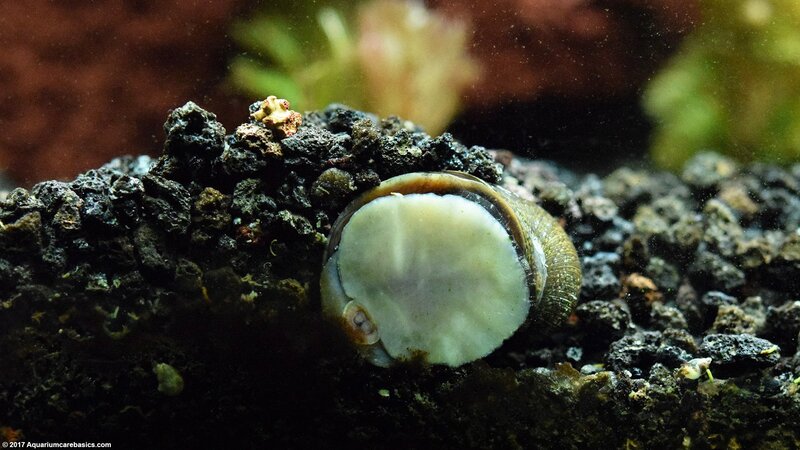 An interesting thing about Nerite Snails is that when they are in feeding mode, they are constantly on the go, moving steadily and tirelessly throughout the tank. Then, for no apparent reason, they become idle and still for long periods of time. 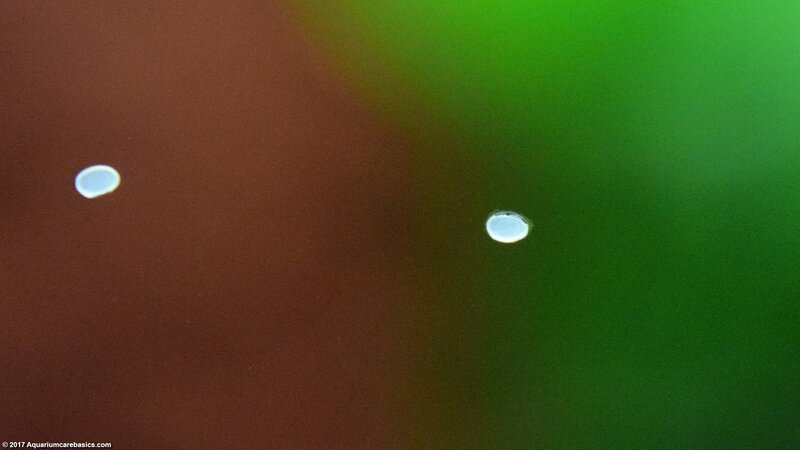 When this happens, they may be out in the open on a hard leaf, on the glass, or on a filter intake, for instance. 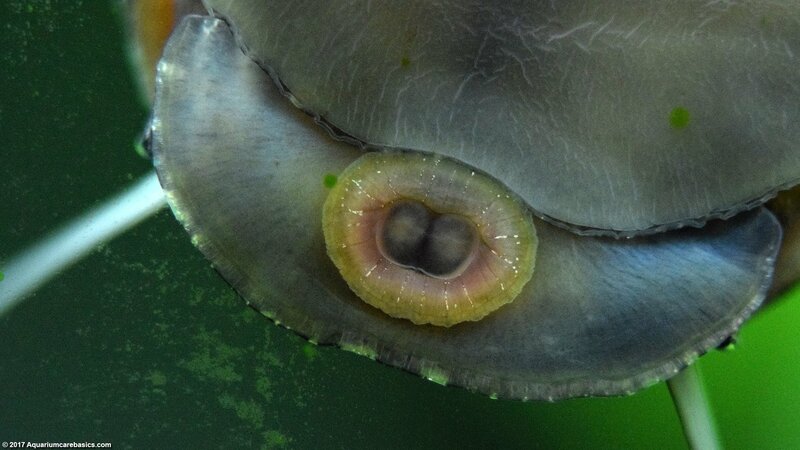 Or they may find a dark, quiet corner of the tank near the surface and stay there motionless for days. 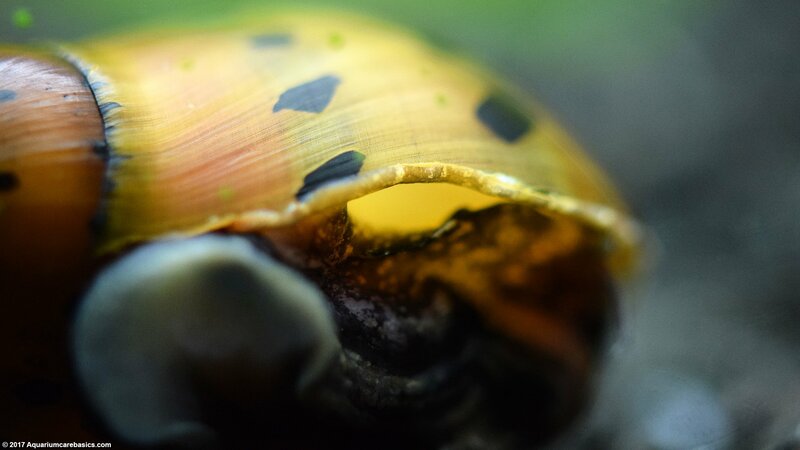 It’s often noted that Nerite Snails will not reproduce in fresh water. 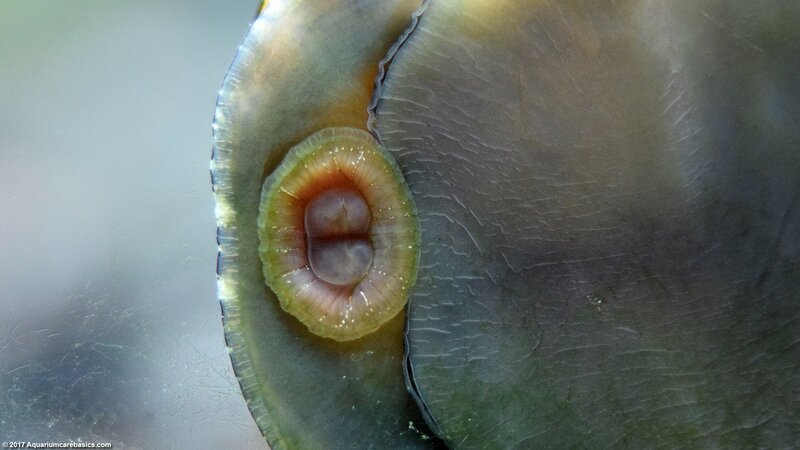 Because Nerites need brackish water to reproduce successfully, they will not take over a fresh water tank like many other snails do. This is one of the primary benefits of this snail. 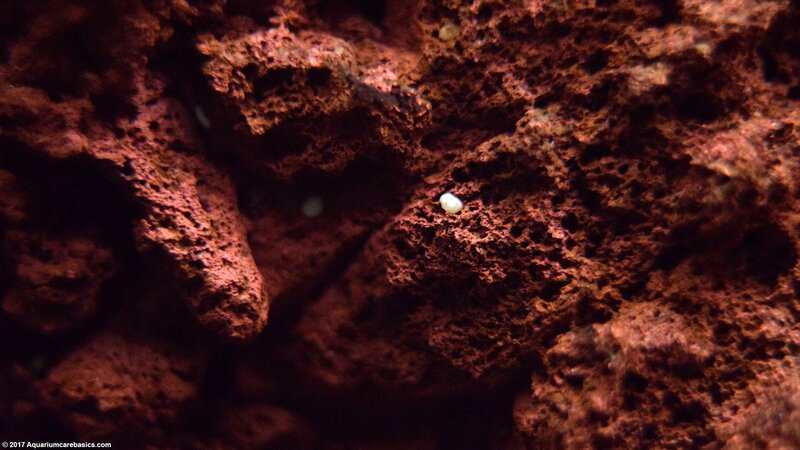 That said, Nerite Snail eggs will begin to appear on many hard surfaces of the tank. 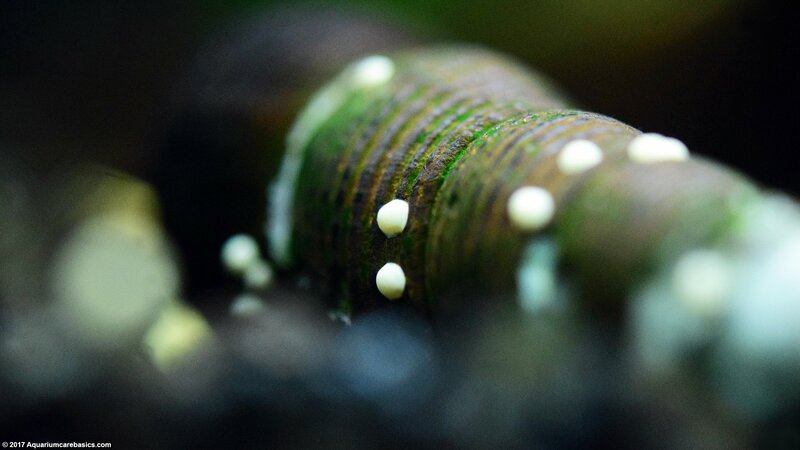 Nerite Snail eggs look like little white dots and are most noticeable on dark surfaces like HOB filter intakes and dark aquarium heaters, on the glass, or on decorations and ornaments. 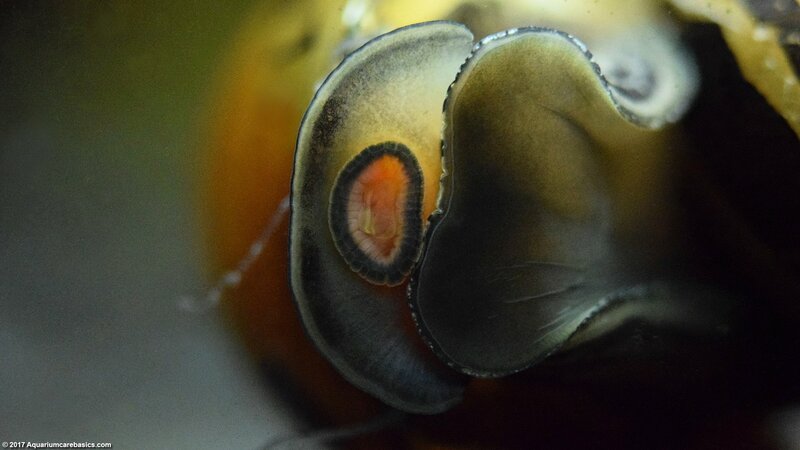 Nerite Snail eggs are hard and will need to be scraped off to be taken out of the tank. 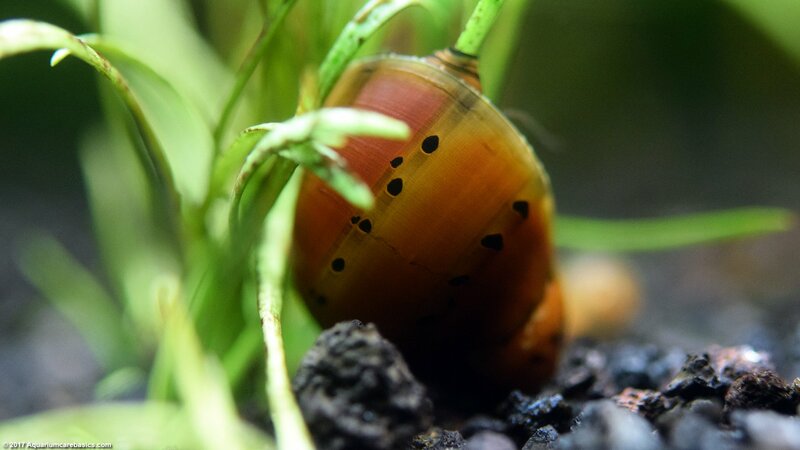 Even though Nerite Snail eggs can be somewhat annoying, the advantages of these types of algae eating snails outweigh other types of snails that do reproduce in fresh water. This makes Nerite Snails a smart choice if you want to add a snail population to your tank. Nerite Snails tank mates can include most invertebrates and fish appropriate for a freshwater community tank. Tank mates should not include any aggressive invertebrates or fish because the snails may get eaten. So avoid loaches, aquarium crayfish, Goldfish and cichlids. 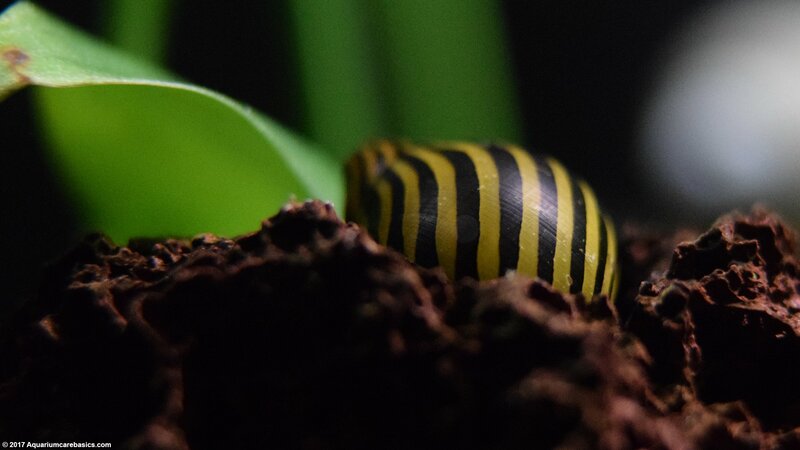 Some good tank mates include others of their kind as well as the likes of: Trumpet Snails, Ramshorn Snails, Mystery Snails, Ivory Snails and Gold Inca Snails. Bamboo Shrimp, Vampire Shrimp, Red Cherry Shrimp, Ghost Shrimp and Amano Shrimp will also work out well, as will Cory Catfish and Otocinclus Catfish. As always, if there is any question regarding Nerite Snails and tank mate compatibility, be sure to check with the store clerk before buying.